Sometimes we all need a little help! Let this extender plate open up a new world of crafting possibilities for you when you use it with your Gemini or Gemini Junior machine (both sold separately). Just swap the original top plate with this one and get pressing! 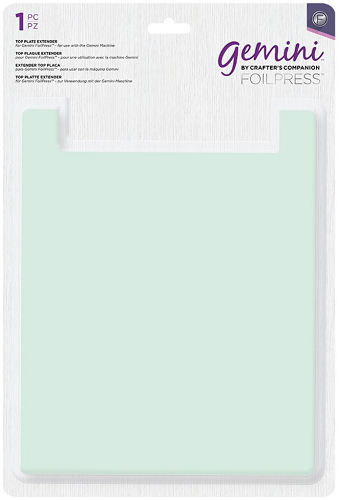 If you have a regular Gemini and not the Junior, you will definitely NEED this plate to use with your FoilPress.